 Log In needed $7 · Restaurant and Bar with Patio off major SK Highway for lease!! So Much Opportunity Here!! 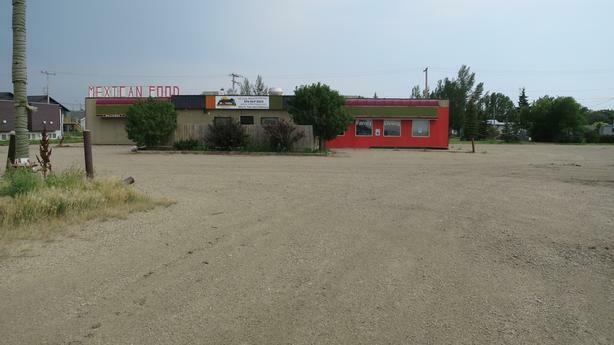 This property has stood large over highways 11 (the Louis Riel Trail) and 44 for decades here in Davidson, Saskatchewan! A large, open area with lots of windows and natural light offers your customers a wonderful atmosphere to sit and enjoy a meal or drink. There is lots of space for parking for the many 6,100 to 6,300 vehicles passing by you each day (as per SK Hwy. counts) giving you the chance to create revenue and form great networking channels. Davidson, Saskatchewan, is in-between three of the four largest cities in this lovely province: Regina, Saskatoon, and Moose Jaw. This 4,822 square foot bar and grill, currently vacant, stands to be a wonderful opportunity for the right person with drive and enthusiasm. Different, separated areas for dining and drinking and STAGE and song! It had VLT's. Would you like that extra cross sales revenue? And in the summer you have the patio ready to entertain with some really ice cold items for sale. There is a lot to see here and easy to pick right up and get it back on the RADAR for those traveling these routes and living in this area. What a sight for them to see! A place for great food and entertainment again, close to home!